Community Corner – July 25, 2014: The Featured Projects from this Week « Adafruit Industries – Makers, hackers, artists, designers and engineers! We love this project from Russel Atkinson! 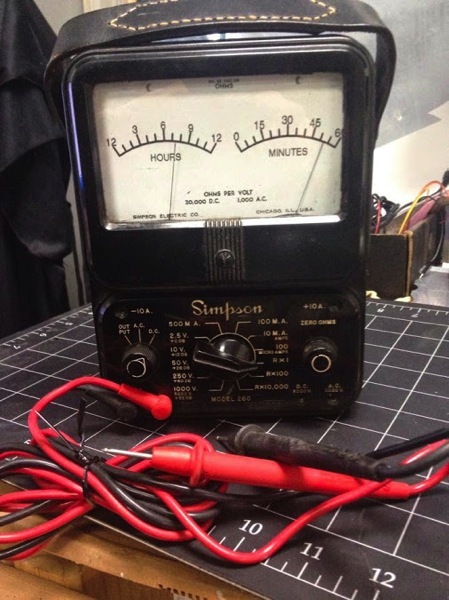 Analog clock in an old, inoperative Simpson 260 housing. Read more! Thanks to Adafruit super fan Dennis (caitlinsdad on Instructables) for sending in another one of his great Adafruit themed projects! 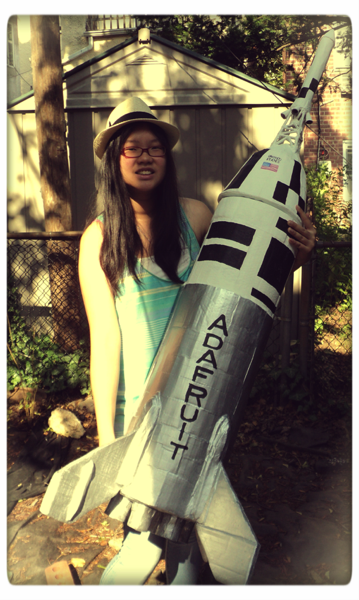 This one is a scale model rocket to celebrate the 45th Anniversary of the moon landing. Very cool! Semi-scale? Super-scale? Fn good-enough-for-government work-scale? Make realistic model rockets based on real rockets. This is the Little Joe II, test vehicle for the Apollo space capsule which was launched on a Saturn V rocket. Wow, it’s been 45 years since the first landing on the moon with Apollo 11. I remember watching that on a black and white TV. This is a recreation of a model rocket that I built from scratch as a kid. Estes had a Little Joe II model rocket and the Saturn V which were the coolest things and top of the line. Couldn’t afford to get one at that time so I built my own. Model rocketry was a great thing to get into since it was a way to learn about the “Space race” or who was going to get on the moon first. Any geek worthy of attending Starfleet Academy would know their spacecraft history. From the Mercury program, Gemini, and to the development of the Apollo program, space capsules that carried astronauts into outer space have always been fascinating. And Soyuz was the only other game in town.